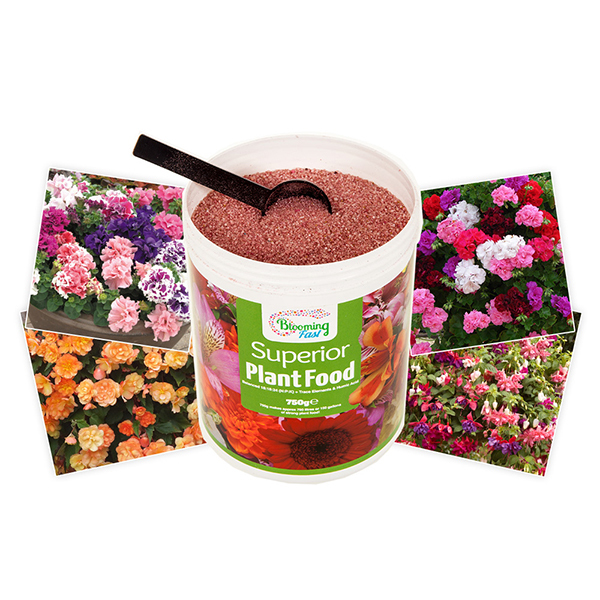 Grow strong, healthy and plentiful plants with our amazing pack of fertilisers. Three tubs of feed and fertiliser. This complete collection of fertiliser and feed will keep your plants thriving all year long. 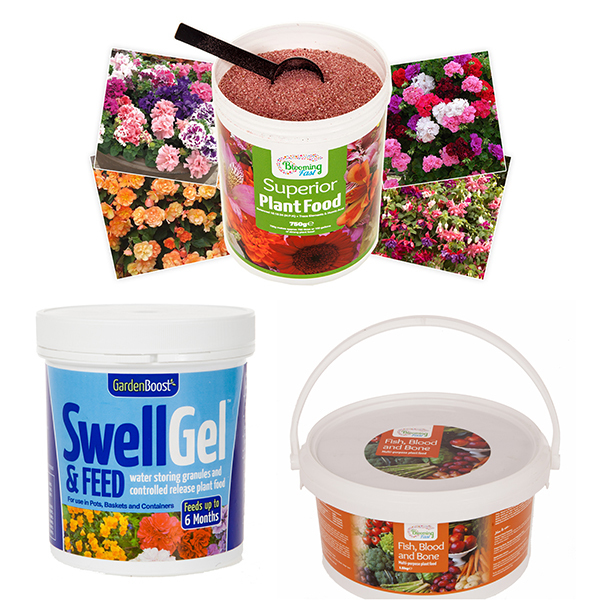 Including our Superior Soluble Fertiliser, Fish, Blood and Bone and Swell Gel and Feed, you'll have all you need to create outstanding hanging basket displays, heavy crops of fruit and veg and of beds and borders to be proud of. Specially formulated to an exacting recipe, and made by one of the trade's largest fertiliser manufacturers, Superior soluble. You will see quick and long-lasting results, and it can be used on all plants - except the lawn. Nature's way to feed your plants. 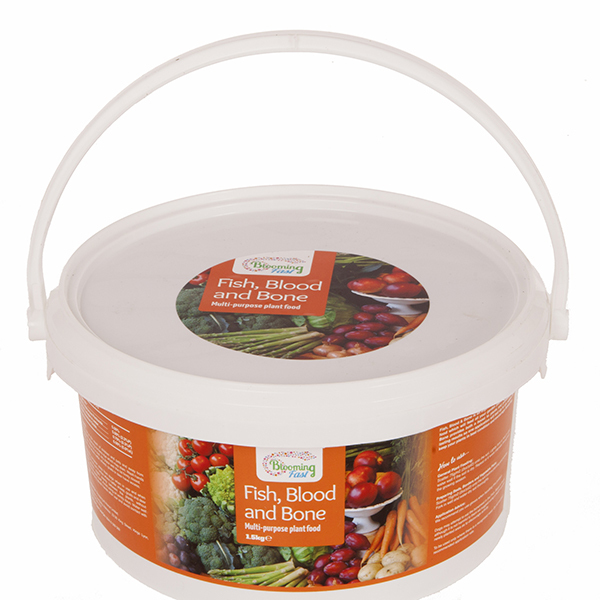 Relied upon by generations of gardeners, Blood, Fish and Bone Organic Fertiliser provides a natural, slow release, multi-purpose feed that is perfect for use all around your garden. Nitrogen (N) ensures perfect, healthy green foliage. Phosphorous (P) provides strong stems and roots to ensure your plants are strong and hardy. Potassium (K) ensures you will get lots of large, bright flowers, or for fruit and vegetables, will ensure you get great crops to harvest. Apply at a rate of 75g per square metre, forking in to the top 5cm (2in) of soil. Water in well immediately after application. 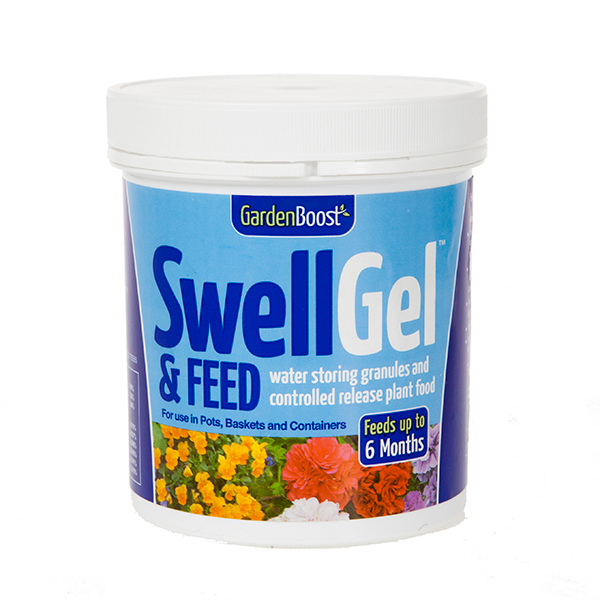 Garden Boost Swell Gel and Feed is the complete food and drink for your plants and hanging baskets, and has been specially formulated. A true garden essential, it contains a high water absorption crystal, which locks in water and swells up to a gel in your hanging baskets, tubs and pots. Just a few scoops per hanging basket holds about a litre of water for your plants, so they do not dry out in summer, meaning less water used, less time watering and better results as all that water is locked in to the root system, where it can be used to keep your plants flourishing. Supplied as: A collection of 3 formulations in resalable tubs 750g Superior Soluble Fertiliser, 1.5kg Fish Blood and Bone, 500g Swell Gel and Feed.